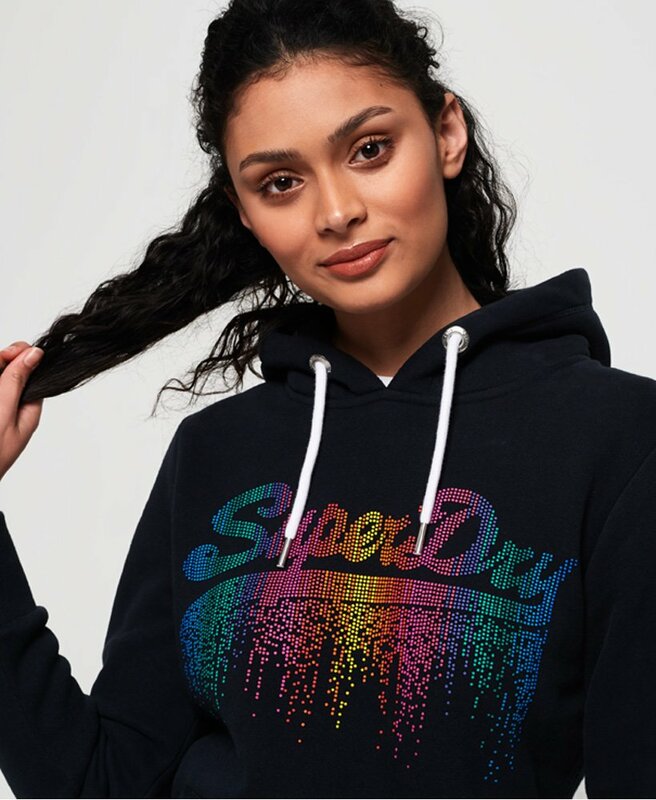 Superdry women's Vintage Logo cascade hoodie. This classic overhead hoodie features a drawstring hood, front pouch pocket and textured graphic on the chest in a cascade effect. This hoodie is completed with a logo tab in one side seam and a super soft lining, making it great for the everyday.